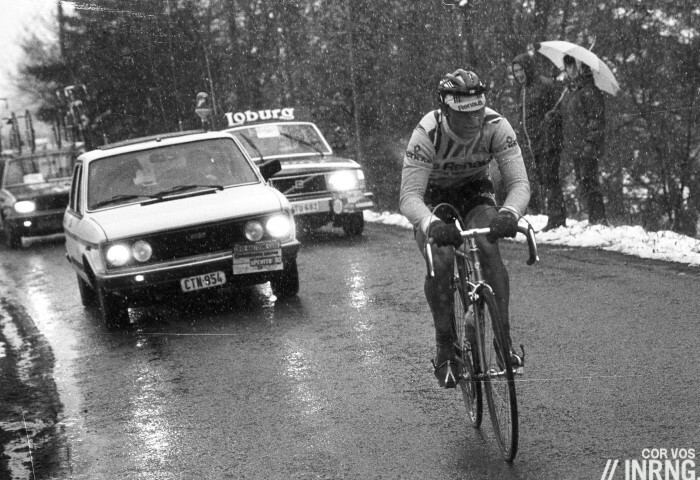 Far from lording it while feebler minds and bodies were being frozen out of the race, Hinault was having a horrid time. He too close to quitting, says cycling historian Philippe Cluzel of the Radiovélo show. Team mate Maurice Le Guilloux was dispatched to fetch his leader from the back of the race. Le Guilloux too was suffering and it was so cold that his eyes were freezing. So directeur sportif Cyrille Guimard took off his Raybans and passed them up to Le Guilloux to keep the snow out, “be careful, they costs 1,000 francs” barked Guimard. The sunglasses proved to be priceless as Le Guilloux’s eyesight was restored and he was able to pace Hinault back to the action. In time Hinault got to work, catching the breakaway, dropping them and finishing over nine minutes clear of second placed Hennie Kuiper and only 21 riders finished. 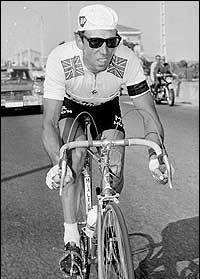 The tale of Hinault’s win is often celebrated but the role of Le Guilloux, Guimard and the one thousand franc sunglasses seems new, if it hadn’t been for the glasses maybe Hinault too would have packed. It’s also an early tale – perhaps the earliest? – of sunglasses being used for protection in a race. Talking of frosty receptions, an update on Lloyd Mondory. Once famous in France as the king of seventh place, the kind of rider who got UCI points under the radar to save his team from World Tour ejector seat, the Ag2r La Mondiale got the front page treatment after he tested positive for EPO in February. The news broke in Paris-Nice, felling his team and this week L’Equipe published an interview with Ag2r team boss Vincent Lavenu saying he was so distraught he had be talked out of quitting Paris-Nice and ending his involvement with the team. As for Mondory he’s told his team there’s been a mistake and he’ll fight the case but he’s not said anything in public. His Twitter account has gone dormant. Weeks later there’s no still news on the B-sample but we’ve seen other cases involving potential “micro-dosing” take time to happen, the testing procedures are delicate. The UCI has promised to set up its own anti-doping tribunal. The idea is to hear cases faster and to remove the “home advantage” enjoyed in some instances although if this exists then surely there’s the risk of an “away disadvantage”? This had gone quiet but reports by The Associated Press say the tribunal is taking shape and could hear its first cases very soon. “We’re anticipating the first cases to go to it in the next few weeks” says UCI President Brian Cookson. It’s almost as if he’s got some riders in his sights for the bio passport. Staying with the UCI and Hein Verbruggen has been writing another infamous letter, a full copy in English you can read at demorgen.be if you want to take a moment to see what planet Verbruggen lives on. This time he’s feeling the heat from Brian Cookson who is trying to force him out of his role as the UCI’s Honorary President. But he’s staying put and trying to rally support from the UCI’s Management Committee. Angry, personal and contradictory letters seem to be his modus operandi, see his Olympic rant against WADA for a precedent. He might have a point about some aspects of the UCI’s governance but the head-scratching moments don’t help him put across his case. Verbruggen started his career working for Mars, now he appears to live there. Disc brakes I: The UCI is allowing trials of disc brakes and this has got obvious attention. But it’s part of a trend. One change at the UCI following the ejection of Hein Verbruggen and Pat McQuaid has been a rapprochement with the bike industry. Witness the Hour Record where the UCI relaxing the rules to allow track-going time trial bikes rather than the retro “Merckx” restraints. We can expect the 6.8kg rule to be reviewed too. Where will it end? Well in recent years some manufacturers have abandoned the UCI’s rules, making triathlon frames that offer aerodynamics beyond the UCI’s strictures and this could be reviewed too. Disc brakes II: a recurrent talking point over the introduction of disc brakes has been the concern about neutral service. With FSA moving into the groupset market it means Shimano, SRAM, Campagnolo and FSA could introduce four different standards. There is talk of Shimano making an adjustable feature to cope with different rotors but the concern is a rider with a problem in a race won’t be able to get easy service. However this is already a big problem today given the proliferation of different gearing systems and pedal mechanisms. Certainly discs would just add more complication but concerns about a rider with a mechanical needing neutral service are tiny compared to the giant (income) gains ahead of the manufacturers. Lost: GPS devices are permitted and this week’s story of French rider Dylan Durand getting lost during the U23 Liège-Bastogne-Liège and reaching the finish at 9pm has been amusing, the tragedy for Durand was that he was only a few kilometres away from the finish for several hours. It happens a lot, the TV cameras show what’s happening up front, not behind. Pro rider Rafaâ Chtioui got lost in the recent Vuelta Castille y Léon. It only a takes a puncture and a rider to be stranded, maybe they’re forced to stand on the left of the road and they’re missed by the team car, the race convoy drives past and that’s it. Meanwhile helpful locals or souvenir hunters take down a race directional sign, the stranded rider takes a wrong turn and that’s it. Maybe they ask for directions in the next village but what if they don’t remember the name of the finish town? La Gazzetta Dello Sport says Vincenzo Nibali could ride the Giro. Fabio Aru has “gastro intestinal problems” and he’s pulled out of the Giro del Trentino and is uncertain for the Tour de Romandie says the pink paper. By extrapolation he might not ride the Giro. Italian website Tuttobici adds that Aru has spent more time in the bathroom than possible, lost five kilos and still can’t sustain a ride for an hour… but in contrast to La Gazzetta, Aru is quoted as saying he’ll ride the Giro. Nibali could ride, he’s been on the same training camp as Aru and Astana team manager Guiseppe Martinelli tells La Gazzetta “I am convinced this is the right year to attempt the Giro-Tour double“. It’s one thing for Aru’s participation to be in doubt, another to totally change Nibali’s schedule. As if the team hasn’t got enough to panic about. Finally thanks to everyone who has bought a Supporter’s Jersey in the past few days. Impressively many sizes (XS, S, M and L) have gone faster than a beer on the Amstel Gold Race podium. Apologies for the frustration if you’d still like one and your size is no longer available. A fresh order has been placed to replenish the stocks. Nice story about Hinault and the ray bans; I’d not heard that before. Folk wisdom is that it was Lemond who introduced shades to the peloton, but it just goes to show you can’t always trust folk wisdom! A bit like the story that Hinault only ever rode Paris Roubaix once; or that he never rode it after his victory in 1981, neither of which is true – as his 9th place the following year shows! – but both of which are frequently asserted as fact on the Internet. 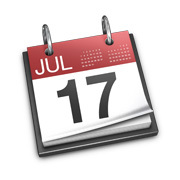 Just one small correction – Le Guillou’s name is correctly spelt with an x (i.e. Maurice Le Guilloux). He was one of Hinault’s trusted domestiques and saw out his career with Hinault at La Vie Claire in 1984 before going on to management positions and ultimately DS in the team in its later incarnation as Toshiba. Hinault too wore shades and before LeMond turned pro but they were glasses, literally with glass and risky in the event of a crash. Yes there were plenty. Jan Janssen was an exception as wore glasses all the time because of his poor eyesight and unlike say Laurent Fignon, he wore prescription sunglasses on sunny days. From being virtually mandatory 100 years ago due to the unmetalled roads they seemed to disappeared for most of the 20th century. The weird thing that what we accept wearing sunglasses as being a practically universal practice nowadays, that it took so long to be marketed in to existence (by Oakley Inc.) is a surprise. I must confess to being a “real rider” but even I have cracked (today!) and ordered a pair of shades after 15 years of picking pollen beetles out of my eyes and taking flies square on the eye ball on the descents! I can now look forward to one more ridiculous tan line! 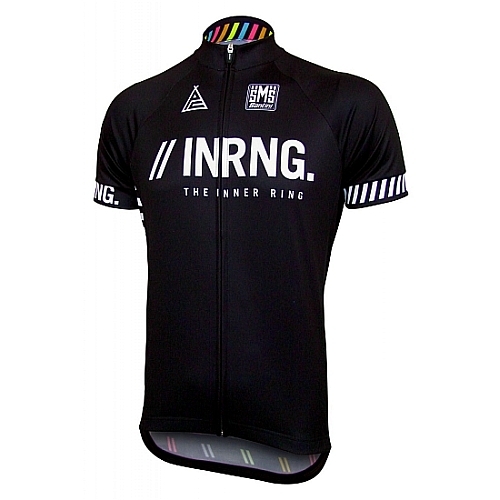 Great round-up as usual, INRNG – thanks. As far as Verbruggen is concerned I cant help but relate his reactions to Shakespeare and the famous “the lady doth protect too much” (albeit he is not a lady – or not that I know of anyway) quotation. Also, what is it with riders now threatening to sue the UCI if Astana loses its licence. It is the team that has caused the issue in the first place! Astana getting even more desperate. You had my hopes up with that sub headline – Verbruggen on Mars! We need a whip-round – urgently! Same old nonsense from HV – my heart sank. He is a discredit to the IOC and his honorary presidency of the UCI is an embarassment. It is. 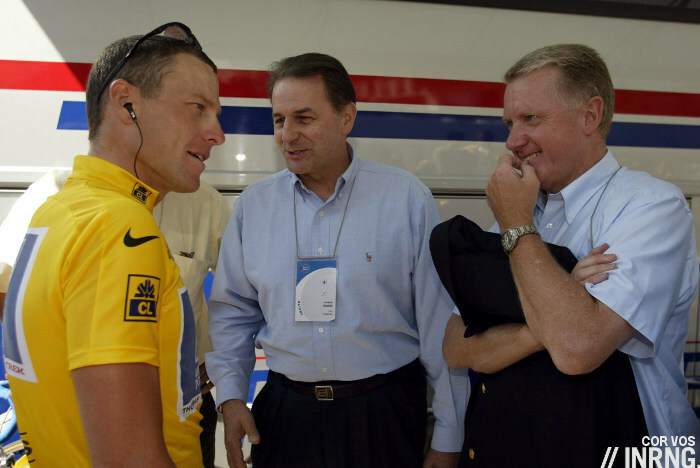 But thanks to the rules of the constitution of the UCI – which irony of ironies he himself would have overseen – he can only be removed via a vote of the feds at the UCI annual meeting in Sep. One fed needs to table the resolution, and then a vote will happen. Its in the constitution, he wouldnt be able to contest it legally. INRNG, if I have any of that wrong, pls shout! I think it’s also worth understanding that HV is also the guy at the helm when the sport went International and you became a fan… He had a hand in that. Everyone loves to throw fruit at HV, and splice PMcQ to him as if they were one, but I’ve never read a piece about Puig or Rodoni. And Rodoni took office in an era when what we feel is blasphemy was completely legit. The sport had become reasonably international prior to Verbruggen taking over, we’d had Japanese teams in Paris-Nice, the Amaurys were plotting US stage races, Colombians in the Tour and Giro. US riders won the Giro and Tour in the 1980s etc. That said Verbruggen achieved plenty at the UCI, it’s offices in Aigle with a velodrome are witness to that. But his private habit of ranting letters leaves many confused, stylistically it makes people question him rather than explore the issues he’s trying to raise. I know that you of all people, even at your most biased, understand the nuances of any evolution. US riders winning is different than US consumers watching. And I do understand that HV was just one ingredient of a not so simple recipe. I don’t care two iotas about him, but I do think it’s funny that he’s a thorn in Cookie’s backside. He’s full of hot air. Cookson’s response is not to give HV more publicity and let himself be dragged into a public slanging match – which is quite right. The Ray Ban story is a fun one. Cookson, Makarov et al in charge of a tribunal sounds like a very sinister but time consuming work around to the problems created by those pesky Federations. Blackmail and assassination would be so much more efficient. Cycling News reports earlier this week that Martinelli denied claims that Nibali will race the Giro. “The path you could follow is the same as Pantani in 1998.” That’s a good thing, right? That would be a great thing! Achieving something that no big gun was able to in the following 15-some years, however they doped. And they doped quite a lot more, and better (not only the progress of science but that of corruption as well). And whatever doping is implied – or not – you can see what that means just looking back to the history of cycling… you didn’t need any EPO to do that, nor any EPO granted you could. You just needed to be a *very* good pro rider. Exceptionally good. And doping doesn’t make you something like that, it just makes you “a pro rider”, if anything, still lacking the other part. Not sure how you can claim that people doped more and better after the introduction of a test for EPO than before it? Surely a lot of the inventiveness in doping post-2000 has been to make up for the fact that EPO could no longer be used with impunity. I’d also query whether to win 2 GTs in the same year you “just” needed to be an exceptional rider or whether doping wasn’t a necessary component in being such a rider. Agree, however, that both components seemed to be necessary. But in the absence of any knowledge about the extent to which Pantani, Indurain or Roche doped or didn’t compared with their competitors, I shan’t try to put forward any answers. For example, it was later observed that higher haematocrit wasn’t simply the best, you’d better transport the same haemoglobin with smaller red cells keeping HTC (relatively) low. 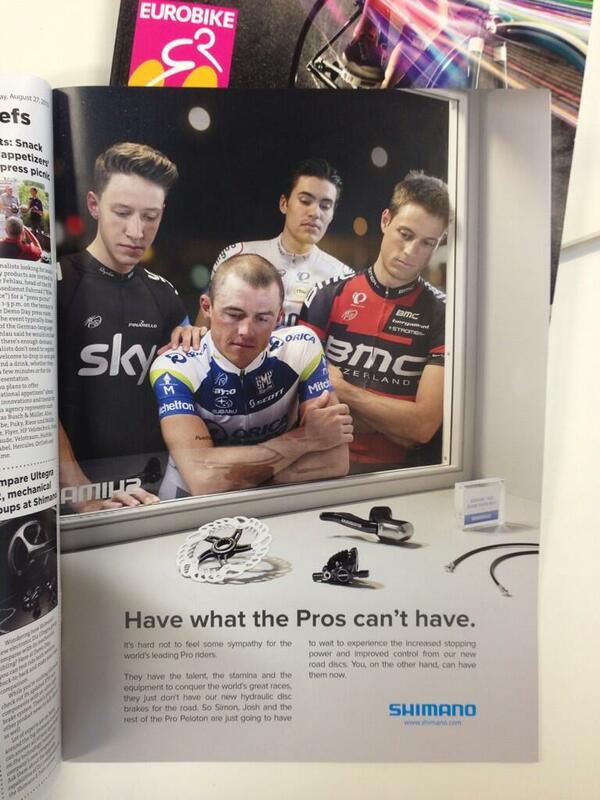 In the crazy EPO era this wasn’t even taken into consideratiom by many. And, it’s not just about blood doping. Sport doctors started quite soon to consider the importance of metabolic change, hence the often underestimated importance of doping through cortisone and sexual hormons in a different way, not just to get muscular mass boost or to reduce racing pain: but all that was a bit overshadowed by EPO (or needed some more time to be fully developed) and entered in current practices some years later. I can’t prove most of what I’m saying, so I won’t insist on that. The specific considerations about Pantani rely on his post mortem bone marrow analysis (apparently not compatible with a heavy long-term EPO use), on the fact that he was riding for a relatively small team with not much of a scientific structure (he had worked with Conconi and the University of Ferrara, indeed, but their illegal activities, according to the 2004 sentence about his team, arrived to 1995), on the description by witnesses in the trials who supported the idea that he didn’t like to dope in a shared, organised way, at least when training (which is obviously less effective), on the characteristics of his supposed later doping tables redacted by Fuentes. We can compare that with what we now know about Telekom, Festina, USP etc. What I’m saying about the lack of “philosophical” necessity to use EPO to make the double isn’t meant to defend that Indurain or Pantani could make it without EPO (I doubt they would have won a single Tour, in a world where they didn’t dope and all the rest did), it’s meant to say that it *is* possible for the human body to compete in both GT at a good level *without blood doping*, as they did at least some of the 7 riders who succeeded (a fact that sometimes is disputed). That is: is it possible to make the double without EPO (in general)? Yes. You’ll get it just with EPO? No. Hence, I suspect that EPO isn’t the deciding factor. No impressive correlation between doping abuse and making the double. Understood, thanks. I guess the sample size of double winners is so low (and so is our knowledge of riders’ methods of prepration compared with their rivals’), it’d be difficult to point to any useful correlation with anything. Inrng: Regarding wheel compatibility, it used to be a problem, but since SRAM and Shimano moved to 11 speed, you can use a wheel with any of the three manufacterers’ cassettes with any changing system. Lennart Zinn has written a number of good articles on this. As for discs, it has brought a wealth of systems, manufactuerers, rotor sizes, and even hub widths. It’s clear we are moving towards discs in road cycling, but surely it’s not without problems. You’re right about today, I was thinking it wasn’t an issue in the past when some had 9 or 10 speed; 11 or 10 speed etc. A concern for discs is the cycle industry goes down the route it’s gone with BBs and many confusing and incompatible systems, engineering solutions which frustrate many consumers. The bike industry has to be drooling collectively over the prospect of a stroke of the UCI’s pen instantly making billions of euros worth of equipment instantly obsolete. Old-farts like me gave up on the urge to have what the pros ride long ago, but with all this perfectly good(?) equipment suddenly “yesterday’s news” how many younger bike riders will say the hell with emulating the pros too? Could be a great time to scoop up some previously insanely expensive equipment as all those non-disc wheels and frames get dumped into the closeout bins worldwide. On the other hand, this may well be one of those “be careful what you ask for” moments for the bike biz. Hear, hear. I look forward to the day when I see the most expensive rim brake race bikes from today for cheap in a few years. It’s no just a matter of differing systems being problematic for fast wheel changes with disc brakes. Even different wheels running ostensibly the same system will often require caliper adjustment to prevent free running drag – the gap between pad and rotor being less than hub manufacturing tolerances. Couldn’t they just “defund” HV by lowering the salary for the role of Honorary President to something much lower than the current comp package? I suppose that would take some sort of federation approval as well, but that’s an avenue I’d explore, if I were Cookson. The inevitable change to disc brakes in the peloton is a star-crossed prospect. On the one hand, braking with discs will be somewhat better than the traditional alloy rim brakes that pros used in the recent past in the wet with little to no improvement in the dry (Dura-Ace 7800 brakes were among the best ever with respect to stopping power and modulation on alloy rims). Even in the wet, experienced riders are able to plan ahead for the slight increase in braking distances because of the the thin film of water on the rim. However, disc brakes are a vast improvement over carbon rim braking. On the other hand, changing wheels with disc brakes (even with identical wheels) will be so slow, that either races will be lost or the pros will just change bikes, markedly increasing expense. several riders may need three bikes on the cars to navigate Paris-Roubaix. Besides – disc brakes are just so flipping ugly. Interesting points. Braking performance didn’t much matter when the first plastic wheels came on the scene. I can remember Der Kaiser running wide into turn after turn and getting gapped on descents. But now, with the industry at-the-ready with lots of expensive “technology” braking performance is a critical safety issue that must be addressed. If/when this monster is released, they’ll muddle through for awhile with through-axles and bike changes each time there’s a flat, but it won’t be long before single-sided forks and stays will be the norm so that F1 style wheel swaps can be made. You think disk brakes are ugly? F1-style bicycles will look like current F1 cars – ugly with a capital U! 2. Sharp and so potentially dangerous in a crash? 3. If some are on normal brakes and some are on discs, stopping times will be different and chaos will ensue? 4. Longer to change wheels? 1. Heavier now but only because we haven’t seen purpose built disc brake bikes and corresponding wheels. Those with no brake bridges, no extra rim materials on the wheels might make that point a wash in the future. 2. There are plenty of crashes in MTB and CX and I have not seen injuries that can only be caused by the disc brakes. Granted, MTB and CX doesn’t pile as many humans on top of each other and their bikes as on the road. 3. Stopping distance on road bikes still remains a function of how much grip the tires can get and not how much stopping power the brakes can impart on the wheels. All brakes have enough power to lock up the wheels in a panic moment. As far as heat buildup when descending mountains, pros do not really ride their brakes to buildup heat. 4. Probably. On the other hand, way more excuse to “hang on to the team car while I adjust brakes” when catching back up with the peloton. So, if they don’t really improve stopping distance, what’s the point of them? Work better in the wet? I read – and I say that because again I’ve no idea – that they can get very hot too: also could be a problem in a pile-up. Seems like unnecessary tech to me, but then I’m only interested in the cyclist’s performance, not their bike. They do work better in the wet, and are more reliable generally. You also have a greater degree of control over the amount you slow down (ie., when braking less than 100%). But, in the dry, there’s not a huge difference, I find. Theoretically, having the brakes in the centre of the wheel means that the rims can become lighter too because they don’t need braking tracks. That doesn’t seem to have happened yet, though. Heat in a pile-up could be a problem, but if you’re on the sort of long descent that requires enough braking to heat the rotors to a dangerous temperature, then the speed of any crash will be far more dangerous than the presence of the discs. What is the mandate of the UCI anti-doping tribunal? I thought the reason riders (or any athletes, for that matter) are given a “home advantage”, is that only their national federation is allowed to sanction them? Any anti-doping authority can pursue a case. It’s how the Italian Olympic Authority prosecuted Valverde, how USADA banned Bruyneel etc. Typically a case has been passed to the local agency, whether a federation tasked with upholding the rules or a national anti-doping agency but if WADA approves then the UCI tribunal can act too. I wonder if the “Nibbles doing the Giro” story is because Astana feel they won’t be there for the Tour but won’t say that, and so having Nibali riding it mitigates any risk around Aru’s illness and potential impact on his performance level as well as putting the UCI in a difficult position if Astana win the Giro. Putting all their eggs in one basket in the hope that it makes the other basket (the Tour)unavoidable. And, let’s be honest, it may also mean that they recognise even if they were in the Tour, Nibali wouldn’t retain his title due to the competition and so Vino feels they need to win something, given their poor performances this season so far and low chances of any further victories this season outside of the Giro! “Competition” doesn’t look more shiny than last year (nor does Nibali, indeed, but it was the same for him in 2014) and in the last Tour no one among the others looked like he was a sure winner, even before auto-eliminating themselves. But, yes, we’ve seen in that same competitors the amazing skill to change their level from one year to the other, some of them with considerable ups and downs along their careers, so, yes, maybe Nibali’s preparation will be affected by all the Astana fuss, while they’ll get better, this year, and just jump past him. This year’s Tour is due to have Quintana as well as Contador and Froome. And you wouldn’t necessarily expect those two to crash out in the first week again, so the competition is a little higher. Having said that, he’d hardly avoid Contador by riding the Giro. But my point was that the Giro field is weaker than the Tour field and so he stands a better chance of winning the Giro. Therefore, there may be some pressure from within Astana for Nibali to go for that as (a) they stand a better chance of success (b) it could put the UCI in a difficult position if they do win, and (c) they may not be able to compete in the Tour. If I was in their position, I know what I would be doing!! I was answering to “Nibali wouldn’t retain his title due to the competition”, I just don’t think that the presence of Quintana alone is enough to scare a team out of a race *being afraid – or sure – they won’t retain the title*. If Nibali entered the Tour last year, opting out the Giro (always very important for an Italian rider), I can’t see why that same competition should be now more of a menace. Besides Quintana, yes, who’s obviously good (and whom I’ll be probably rooting for); still I fail to see his presence as that decisive element which would scare Astana away – nor I think that GF was meaning that. Froome last year was in no position to win, not even by far, even before retiring (personal impression and some team declarations/behaviours); Contador was strong, but he was some 2′ back, something you don’t take back so easily in modern cycling when your rival is in top shape, too. I acknowledge, totally, that we would have seen a very different race, with Contador vs. Nibali, but I can’t see that as a proof that Nibali couldn’t win it, nor that he’s counting on lack of competition when deciding to start a race or not.